Just a couple of months after its Executive Chairman Dr. Robert Yap was named ‘Businessman of the Year’ at the Singapore Business Awards, the logistics firm YCH Group announced today the launch of a new corporate venture arm set to invest S$10 million (US$7.3 million) in local supply-chain startups. Named Supply Chain Angels (SCA), the venture is in partnership with the National Research Foundation and will operate through a one-to-one matching programme with the government agency. The agreement comes under the NRF’s Early Stage Venture Funding Scheme III — an allocation of S$40 million (US$29.2 million) set down by the government agency on September 21 2015 for ‘corporate venture funds set up by large local enterprises’. “YCH is committed to contributing to the growth of the supply chain startup environment by equipping its players with the right technical, operational and knowledge capabilities. We look forward to the creation of innovative products that can be scaled and used in Singapore and other countries,” said Yap in an official statement. Also Read: Psst! A new S$40M (US$29.2M) government fund for Singaporean startups will be unveiled next week! Fintech solutions for the logistics financing system. YCH said the startups will be encouraged to move into ‘Asia’s first and only supply chain venture space’ called Supply Chain City. It is located in the centre of Singapore’s Jurong Innovation District and houses 10,000 square feet dedicated to startup innovation. Furthermore, companies will have easy access to two million square feet of industry space housed by MNCs and logistics professionals. Besides the funding and office space, selected startups will have access to mentorship from companies, VCs and investors in the city. Notable names include Accenture, Dell, Golden Gate Ventures, Rolls Royce and Y3 Technologies. “The ecosystem will offer not just the best in knowledge and expertise but also provide a platform for startups to test bed new and innovative ideas. The community will also offer startups easier access to potential customers, the right mentors and opportunities to embrace ideas and disruptive technologies,” said James Ong, an Investment Committee Member at SCA in an official statement. YCH’s proclivity for startups should not come as a surprise. In the Straits Times profile accompanying Dr. Yap’s award, he said a key to the success of his company was applying his passion for the IT industry to his career in logistics. He said he invests three to five per cent of revenue into technology development expressed bullish sentiments about how e-commerce can impact the industry. YCH was founded in 1955 and is partnered with major corporations like Dell, Exxon Mobil, Samsung, Motorola and Unilever. 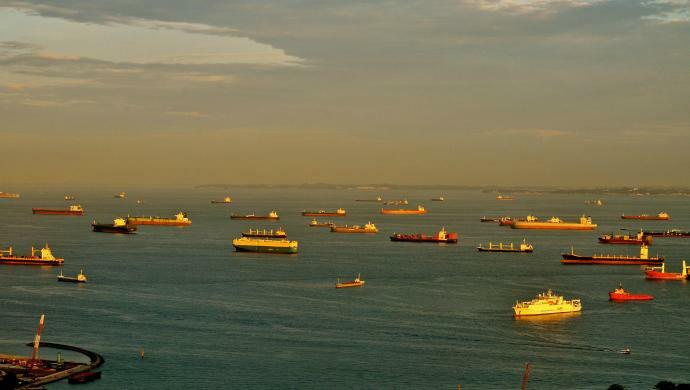 The post A sunrise industry: Singapore’s YCH Group launches US$7.3M venture fund for logistics startups appeared first on e27.